I recently found this image over at Simon Gurr's blog. It was painted for a charity auction a few years back. 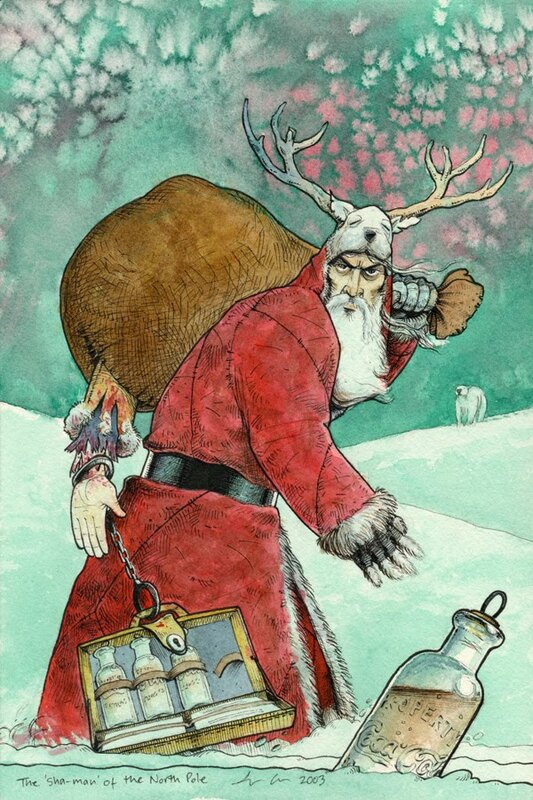 If you think it happens to bear any similarity to every comic fan's favorite semi-hermit warlock writer, I'll just note that Gurr gave the image tag the description: "Father Alan Christmas." Enjoy your day, whatever celebrations you might have planned this season.